All the teachers at Xceleration are truly experts in their respective subjects. Their profound knowledge of the subjects is so good that they are able to equip their students to perform at the optimal levels. During my chemistry exam, EVERYONE scored A! Xceleration is a truly amazing and unique place to learn and study. 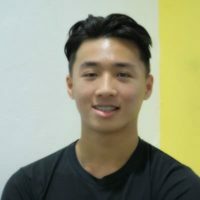 Derrick Kwan is currently pursuing his degree in Civil and Architectural Engineering at the University of Bath.